The CUNY Digital Humanities Initiative is pleased to announce Dr. Cheryl E. Ball, West Virginia University, will join us for a presentation and workshop on “Making the Case for Scholarly Multimedia.” This event is co-sponsored by the Graduate Center Composition Community. We encourage participants to bring their works-in-progress to workshop as webtext submissions to Kairos. This event is free and open to the public, and will take place in room 5409 of the Graduate Center. In this presentation/workshop, Dr. Ball will briefly overview what “scholarly multimedia” is, the kinds of peer-reviewed journals it is published in, and how it relates to others kinds of digital humanities and digital media projects. Following this introduction, Ball will focus on helping participants make the case for their (or others’) digital media-based work through an interactive assessment workshop. We will start with a single webtext, go through some of the developmental and evaluative stages of feedback that Ball uses at Kairos, and spin that example out into relevant cases and questions the workshop participants might have. 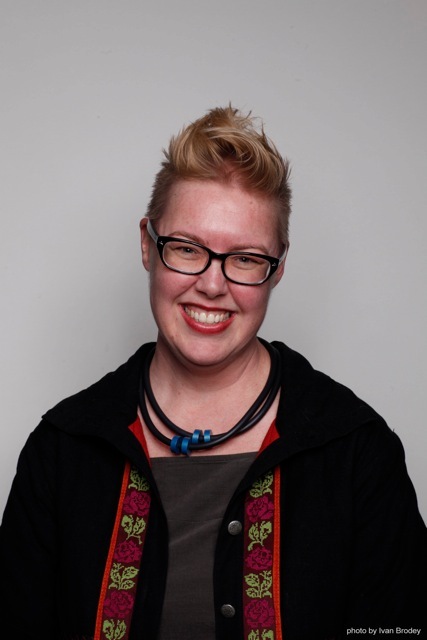 Cheryl E. Ball is Associate Professor of Digital Publishing Studies at West Virginia University and editor of Kairos: A Journal of Rhetoric, Technology, and Pedagogy. She teaches classes in editing, multimedia authoring, and digital publishing and teaches occasional seminars on academic literacies at the Oslo School of Architecture and Design, where she was a Fulbright scholar in 2013-14. Ball has published articles in Classroom Discourse, Computers and Composition, C&C Online, Fibreculture, Convergence, Hybrid Pedagogy, Kairos, Programmatic Perspectives, Technical Communication Quarterly, and Writing & Pedagogy. She has also published several books, including The New Work of Composing (co-edited with Debra Journet and Ryan Trauman), which won the C&C Distinguished Book Award in 2013, and the RAW: Reading and Writing New Media (co-edited with Jim Kalmbach). Her textbooks include ix: visual exercises and Writer/Designer: A Guide to Making Multimodal Projects (with Kristin Arola and Jenny Sheppard). Hi – we don’t reserve seats, but please do join us! I would like to have a seat at this event.